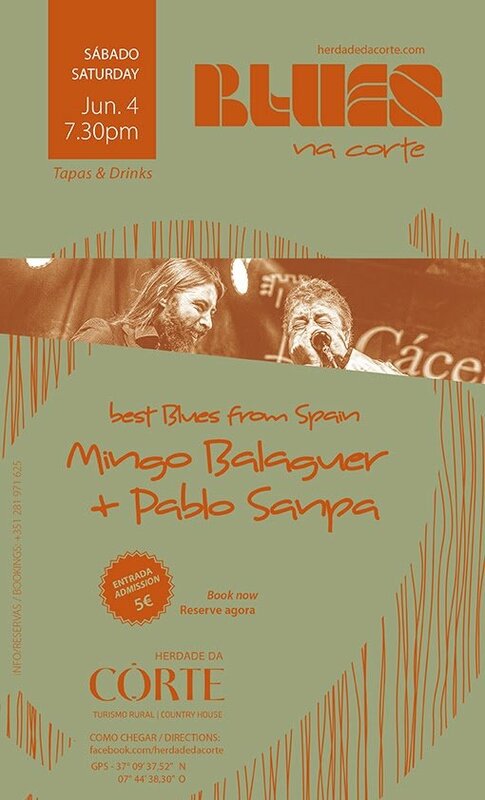 Mingo Balaguer & Pablo Sanpa - two brilliant musicians who promise to delight blues lovers at Herdade da Corte this June. Herdade da Corte is also offering guest a 50% discount on a double bedroom with breakfast included. A perfect excuse to enjoy an evening of music and an overnight stay in the beautiful Algarvean countryside. Places are limited, so book now!